As you can imagine, visiting 6 resorts, also requires at least the same amount of hotels. While looking at the parks and keeping in mind our budget, we had to decide whether we wanted to stay on or off property. For Disneyland Paris, we made the decision that looking at the cost (and the fact that we stayed at all hotels besides the actual Disneyland Hotel) it was best to stay off-resort. We are quite familiar with the area and have stayed in several different hotels near DLP. Taking into account the parking as well for when we fly out of CDG, we settled on a hotel near the airport. Yes it will take us a bit longer to get to DLP, but the fact that we only have to do this once, it is worth the trade-off of paying 60 euros for a room, or an excess of 300 euros. For Tokyo DisneySea we chose to stay on-property. First, it gives you guaranteed entry (you really don’t want to be left out if you only have a limited amount of days) and second, we don’t know when we will be back again so we really wanted to have the Disney feeling for our entire trip. We settled on the Celebration hotel. This was a great trade-off between it being a Disney property and the cost. Especially when you compare it to the Ambassador hotel. One thing that could put potential people off, is the fact that it still requires you to take a shuttle bus to get to the parks. The hotel is not attached to the resort with the Monorail (we do plan on taking it once!) and it is not really a walkable distance. 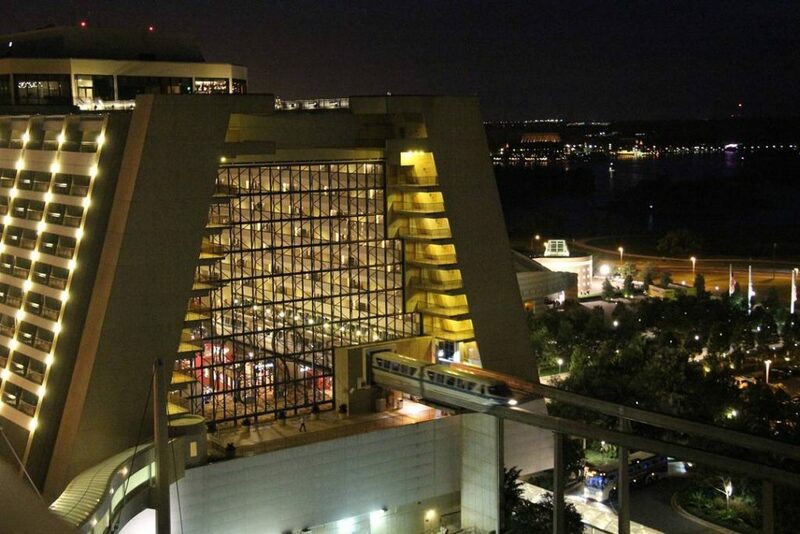 And if you have ever been to WDW, you always need to take Disney transportation to get to any of the parks. Shanghai Disneyland, being less than a year old, is a no-brainer to stay on-property. They have some great package deals, and we choose Toy Story hotel. We went for the Premium package which includes meal vouchers (the restaurants these are accepted at are the ones we plan to eat at) and they give you reserved viewing areas for parades and the fireworks. We watched some videos from other people who recently visited the resort and stayed at the Toy Story hotel and it just just has a great look-and-feel. We stayed at Hotel Cheyenne at Disneyland Paris a few times, and we love Toy Story theming for a hotel. So I guess, we are in for a treat! At Hong Kong Disneyland we will stay at the Hollywood Hotel. This hotel and the Disneyland hotel are the only two on-property hotels. As we are visiting all parks, we had to make some decisions and went with the Hollywood hotel. Distance-wise there isn’t much difference from the Disneyland hotel and it did gives us a few extra bucks back in our pocket. Both hotel are situated at the ocean which give some amazing views, but we also guess some heavy winds. There are some good options to go off-property, but as also applies for the other Asia parks, we are not sure when we will be back, so we opted for on-property. Having spent a huge amount of time at the original Disneyland in Anaheim and having stayed at all three hotels, we went with one of our default off-resort choices; Best Western Plus Anaheim Inn. It is not the nicest hotel in the area, but as we have a rental car, we do look for cheap parking near the hotel and as we don’t want to spend our time waiting at Mickey’s and Friends parking, we choose this hotel. The proximity to the esplanade is perfect and is just a short walk away. We don’t have the stroll through Downtown Disney each morning and evening, but it is for sure closer to the entrance of the parks than Paradise Pier or the Disneyland Hotel. At Walt Disney World we also had to make a trade-off between spending more money, or saving some money on the rooms and using the budget elsewhere. A befriended CM was kind enough to give us her CM discount and gave us a list of almost every hotel on the resort. We went with the Port Orleans resort as it does feel like a nice property, close to Disney Springs and still close enough to the different parks. Last year we stayed at Saratoga Springs and Coronado, so we are excited to stay at Port Orleans where they have a lot of extra entertainment available to the guests. When we travel back to Disneyland Paris, we are only going to spend the afternoon at the park, so there is no need for a hotel. The next and 7th bed will be our own again. By that time, I think we are ready to crash into our own bed and dream about all what just happened to us.